Reid is located on the western edge of Canberra’s CBD. The houses in the heritage precinct were built by the Federal Capital Commission and are noted for their uniformity with regards to the use of materials, colours and pitched roofs. 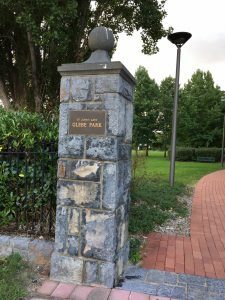 However, within, or very close to the suburb’s boundary, there are other heritage-listed places and buildings: Reid preschool, Glebe and Commonwealth parks, the Uniting Church, St John’s Anglican Church, the Australian War Memorial and Anzac parade. There are also amenities such as the Reid Campus of Canberra’s Institute of Technology, schools and sporting facilities. Great introductory point to start Canberra Tracks, Mt Ainslie offers clear interpretive signage to enhance your understanding of Australia’s national capital. Mt Ainslie – From Marion Mahony Griffin View you can see the original land and water axes that formed the Griffins’ geometric plan for Canberra. The land axis links Mt Ainslie to Camp Hill, Capital Hill and then, in the distance, to Mt Bimberi. The water axis, the Molonglo River – which forms Lake Burley Griffin – crosses the land axis at right angles. 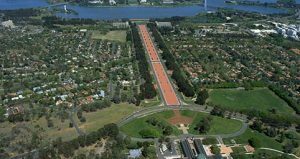 It is also possible to see the triangle formed by Parliament House on Capital Hill; Civic Canberra’s commercial centre and the military establishment at Russell. The garden suburbs of Reid, Ainslie and Braddon constructed during the 1920s can also be seen to the west of Anzac Parade. Australian War Memorial – Opened on Remembrance Day 11 November 1941, the Australian War Memorial commemorates the more than 102,000 Australian men and women who died serving their country, and all those who served overseas and at home. It is museum, shrine and archive. Here are the stories of the Australian nation’s experience in world wars, regional conflicts, and international peacekeeping. Blundells Cottage – Built in 1860, the cottage takes its name from George Blundell who was the bullock driver for the pastoral property ‘Duntroon’ established by settler, Robert Campbell. The Blundell family lived here from 1874 to 1933. The cottage is managed by the National Capital Authority. 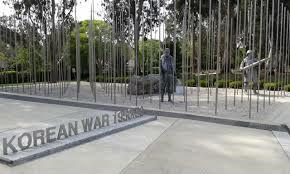 Campbell High School – The school sits adjacent to the Australian War Memorial and on the slope of Mount Ainslie. It is named after the Scottish settler, Robert Campbell, who came to the area in the early 1820s and built ‘Duntroon’ which is now the Officers’ Mess for the Royal Military College. 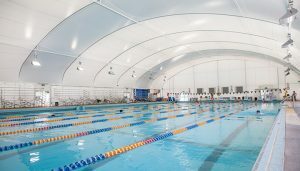 Canberra Olympic Pool – In 1955, the year the pool was constructed, R. M. Ure and B. Beresford-Smith won the 1955 Royal Australia Institute of Architects (RAIA) NSW Chapter Sir John Sulman Award for its meritorious architecture. Commonwealth Park West – Situated on the northern shore of Lake Burley Griffin the park was designed by Dame Syliva Crowe in 1964 at the time the Lake was filled. Visitors flock to the Floriade festival held annually in this park. Further information on events and management of the park see the National Capital Authority. Glebe Park– The glebe was originally set aside for a parsonage in conjunction with St John the Baptist Anglican Church. Its design reflects a traditional English park and the plantings of deciduous English elms (Ulmus procera) and English oaks (Quercus robur) look stunning in both spring and autumn. It is a short walk from Reid across either Cooyong or Coranderrk street and adjoins the eastern side of Civic. Reid Campus Canberra Institute of Technology – CIT has six campuses in Canberra. The Reid Campus is an easy walk from central Canberra and has its own restaurant and café. Reid Preschool – Originally a play centre Reid Preschool opened in 1945. The preschool is noted as an individual place of specific value in the ACT Heritage Register. It is now an annexe of the Ainslie School. 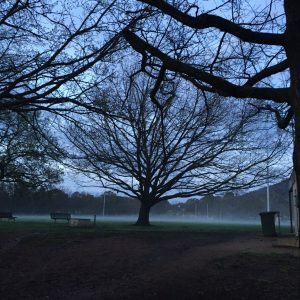 Reid Oval – Active Canberra manages most of Canberra’s sportsgrounds. Cricket and various football codes are played on Reid Oval. 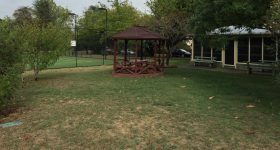 Providing there are no scheduled sporting activities Reid Oval is an off-lead dog area. Fines can be incurred if owners take their dogs onto the oval during formal sporting activities. 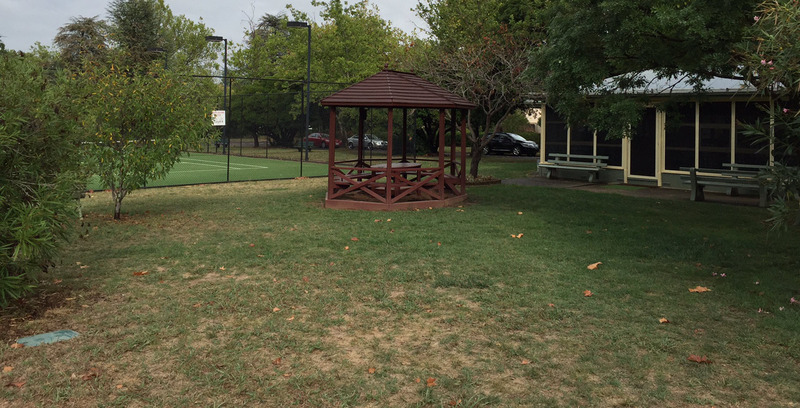 Reid Tennis Club – The club is set in the northern section of Dirrawan Gardens and dates from 1928. Voluntary labor managed by the Australian Federal Commission was used to build the courts and pavilion. Today the club’s amenities include four synthetic grass courts with lighting for night tennis and a well-appointed clubhouse. Reid Tennis Club welcomes new members and coaching is available. St John The Baptist Anglican Church and Churchyard – Situated on the corner of Constitution Avenue and Anzac Park West, St John’s is the oldest church in Canberra. It was consecrated in 1845 and was, with St John’s schoolhouse, an important focal point for family life with the early European settlers in the area. The Churchyard was the site for the original schoolhouse now the Schoolhouse Museum and also has the graves of many European settlers in the area. St John’s Schoolhouse Museum – The Scottish settler, Robert Campbell of ‘Duntroon’, had the schoolhouse built in 1845 for the education of workers’ children. It finally closed as a school in 1907 but is now a museum that depicts school life in the 1870s. 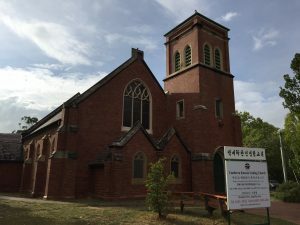 Reid Korean Uniting Church: – The Reid Korean Uniting Church, Coranderrk Street, has undergone a number of changes since it was opened on 8 October 1927. 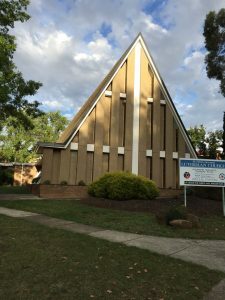 It was the first church built specifically for the new city of Canberra and was originally the Methodist Church, South Ainslie until that part of Canberra, in 1929, was included in the suburb of Reid. St Peter’s Memorial Lutheran Church – While St Peter’s has just celebrated its 55th anniversary, the congregation actually dates from 1949. At the time European migrants, many from Germany, Latvia, Estonia and Finland were encouraged to emigrate to Australia. They assisted with major infrastructure projects such as the Snowy Mountain Scheme and it is these people who largely constituted the original congregation. St Peter’s is situated in Boolee Street.